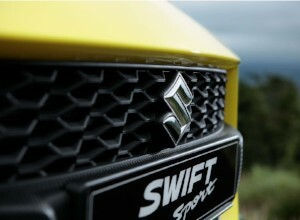 Buckle up and get ready to hold on to your hats, the All-new Swift Sport has landed and it wants to be driven by you! Early orders placed before the end of June 2018 will benefit from a huge £1500 saving. 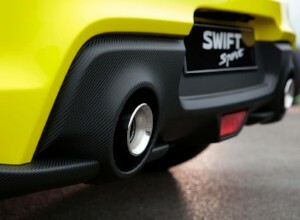 Meaning you could pick up a brand new Swift Sport in June for less than £16,500. Plus, if that wasn't good enough already, we'll throw in £750 towards your deposit. *included in final repayment. 8,000 miles per annum. Want to know more? You can email us at sales@cropley-motors.co.uk or give us a call on 01205 362230. 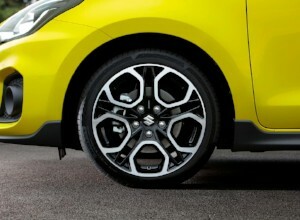 To test drive the all-new Swift Sport, head down to Cropleys Suzuki today. Dual-exhaust, rear spoiler and a new, muscular front bumper give the Sport an agressive, racy look. Shine with 17" polished alloy wheels in a brand new design and dazzle with the Sport's ultra-bright LED headlamps. Featuring red interior accents and a 7" infotainment screen with sports seats, sat nav, reverse camera, DAB radio and Apple CarPlay. Play hard and stay safe with Suzuki's Dual-Sensor Brake Support, high beam assist and lane departure warning.